Once again, it is my distinct pleasure to don my special “webinar recap-er” hat and catch you up on what you may have missed. In this case, the topic is How to Utilize Predictive Analytics to Bolster Your Content Marketing and the expert of note is Ellen Steinlauf. Ellen is CEO of the aptly named consultancy firm, Break Out Revenue. Why aptly named? Because Ellen spends her days advising companies selling complex B2B solutions, helping them to accelerate revenue through analytics and data-driven demand generation techniques - breakout revenue indeed! It’s in this same capacity of revenue-focused predictive excellence that Ellen endeavored to enlighten Penguin Strategies and our growing audience of marketing enthusiasts. 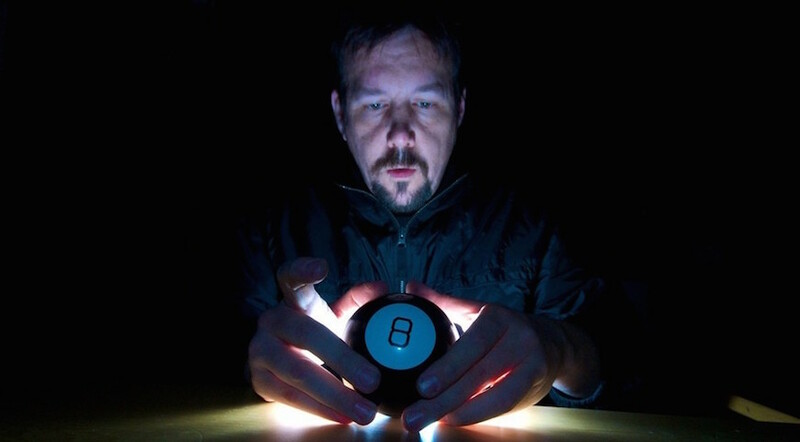 So what the heck is predictive content analytics? In this post, I endeavor to answer that question. But don't think for a moment that my coverage of the subject here is exhaustive. In fact, it's just scratching the surface. As Ellen explains it, predictive content analytics is an approach to content marketing whereby cont ent supply is customized to meet content demand – without need for the inefficient back and forth of trial and error equilibration. I know, that’s a serious mouthful. So what do all those nice sounding words actually mean? Well, content producers face the same problem that every other producer has – that is, how can they be sure that there will be eager consumers for what they produce? Fundamentally, there are two possible approaches to ensure the desired outcome: You can look to influence the consumers to shape demand, or, you can look to design a product that more closely matches existing demand. While most marketers focus on the first of those two options, historically the second option has been primarily reserved as the domain of market researchers. In this sense, predictive content analytics can be seen as the art and science of streamlining the second of the aforementioned options into the regular business operations of content marketing. The why of predictive analytics is really the crux of the whole thing. If you properly understand the business costs associated with a lack of predictive intelligence, you’re sure to become an enthusiastic advocate. To illustrate the need for predictive content analytics, Ellen pointed to the situation that initially led one of her client’s to seek out help. The client was heavily invested in producing marketing content, yet when they dug into the data, it was discovered that a measly 2.43% of their content accounted for 78.86% of their website/content interactions. In other words, 97.53% of their content assets failed to generate results. Those numbers are not at unique to that particular client. 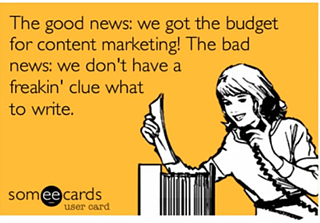 In fact, they’re quite typical of most content marketing operations. So how does a company justify a significant marketing expenditure, 98% of which is demonstrably worthless?! Here’s what you need to remember: Most companies aren’t stupid. They’re always looking at ROI to shed light on their cost-benefit analyses. So at the end of the day, if a company is spending x amount of money on content marketing, it’s because the results they’re seeing are valued at x + y.
Let’s put those two facts together, shall we? 90-some percent of content is virtually worthless in terms of measurable marketing ROI, while content marketing in general is determined to generate more income than outgo. Lean in and listen up: That means that the fractional portion of content that performs (in the case of Ellen’s client, 2.43%) is worth more than the costs of running your entire content marketing program. Such is the power of content marketing at its best! Now imagine if you could get all your content to perform at the level of the effective minority. That right there precisely encapsulates the why of predictive content analytics. In developing an alternative to your content marketing status quo, it’s important to first understand where your current MO fails you. Why does some 90% of content fall flat? Simple. Because you’re producing it based off of nothing more than educated guesswork. If the main value offering of Ellen’s presentation were boiled down to a single sentence, it would be this: There’s a better way to plan your content marketing strategy than merely relying on intuition and guesswork. Ellen’s proposal is actually quite simple. Use predictive analytics to skip steps in the trial-error refinement process, cut to the chase, and experience better results sooner. Human experience and marketing automation insights both rely on hindsight. As such, they fail to drive the content strategy ahead of time. Predictive analytics, on the other hand, builds out a fluid and multi-dimensional map of prospect interests in the present and flowing to the future. To get such a complete picture, we need to start somewhere. Here, it’s the maxim that in the world of B2B, what your prospects read during their journey towards a purchase, is highly indicative of what they’re interested in. You got that? Good. Knowing that, it only makes sense to begin collecting data on what your prospects are reading. Once you have that data compiled, you can get to the business of processing, analyzing and predictively modeling it. On the left a person sees this text as it appears on the screen. On the right we see a word cloud representing the topics on this page and their relative relevance – content and context. With the help of some proprietary algorithmic genius, it's short order from data to action plan. What does this process look like? The computer program scans your content repository as well as those of your competitors. For each individual piece of content, the computer builds and catalogues a topic composite. This composite is defined by a word cloud extracted from the piece and consists of the primary, peripheral, and associated topics that give the content its character. An important step in predicting what people will want to read as they research and educate themselves is to collect data on their consumption patterns. Ellen refers to that data as a buyer “interest profile.” As prospects consume more content, their profiles evolve. By simultaneously cataloguing your industry’s topics with their contextual inter-relations and monitoring user-content interactions, you can track user behavior as it pertains to those catalogued topics. In this way, Ellen explains, you build a projectospective content strategy. It lets you predict what content will be of interest going forward – and confirms what successfully engaged and nurtured the audience antecedently. Talking about predictive analytics is fascinating to be sure, but until now it’s all been a bit conceptual. Let’s bring it down to Earth. Taking all the information we’ve amassed to this point, what happens when you look at the volume of content published versus the interaction that that content elicits from visitors? We can chart a simple graph measuring how much your company produces content on topics versus how much interaction those topics get. Let the x-axis represent the topic's popularity, while the y-axis will represent your coverage of the topic. The more interaction a topic gets, the further right it moves; the more you write about a topic, the higher up it moves. This simple graphical representation is clearly instructive in determining what you should stop writing about, what you should write about more, and what you should continue writing about at the current volume. What else can we do with this interest data? Personalization: By coupling this predictive content analytics methodology with simple tracking cookies, you can easily display different content to different users, based off of their unique (and continually evolving) interest profiles to guide and nurture them through the sales funnel. Competitor analysis: You can map out where your rivals stand on the topic supply-demand plane. Compare this to your own map and see if there are any fertile niche opportunities. Trend anticipation: Using the same process you can map and monitor industry thought leaders and their topic saturation. Indisputably, knowing what industry thought leaders are writing about keeping your finger - and pen - on the pulse of your industry can make a difference in the success of your content strategy. Accelerate lead nurturing and sales cycles: It’s not just about more intelligently automating a company’s content marketing. It’s also about giving the company as a whole a better and deeper insight into its prospects’ interests and motives. This goes beyond continually-learning suggested content and arms the sales team with actionable intelligence about the prospect. Data is already making a difference boosting marketing campaign results, improving targeting, enhancing decision-making accuracy, and deepening market understanding. Are you making data work for you? Ilan is a Marketing Coordinator at Penguin Strategies. He relishes opportunities to think outside the box and is compelled by the power of a well-crafted story. With his gift of gab, he’s found a home for himself in the world of marketing.